Tiki cocktails are a ton of fun and just one part of the larger tiki scene. It may be a little more underground than it was in its heyday of the 1940's and 50's, yet it's still alive and well. Tiki parties remain a popular theme for many and the drinks below are the most popular cocktail for such an occasion. First, however, let us take a look at what goes into a tiki cocktail. What Is a Tiki Cocktail? There is no real definition of what makes a drink worthy of the 'tiki' category. However, there are some characteristics found in almost every tiki cocktail. Rum, and lots of it. Most tiki cocktails include at least one rum, though many combine up to three different styles of the sweet liquor. Stock up on tropical fruits. In true tropical style, tiki drinks include fruit juices and many recipes include more than one. When it's tiki time, be sure to have a good supply of fruits like pineapple, orange, passion fruit, guava, and coconut. The flavor is often dominated by fruit and that helps hide the heavy taste of alcohol. This is perfect for drinkers who prefer less alcohol flavor, and yet, that also makes them slightly more dangerous. They end up tasting so good that a person can almost forget how potent they really are. Layers of flavor. Those first two characteristics are an indication that these drinks are anything but boring or simple. The tiki cocktail will often have four or more ingredients that create a great depth to the drink's flavor. Tiki drinks are among the most interesting and delicious taste experiences you'll have. Spices make an appearance. Though not a requirement in a tiki cocktail, you will find that many have an ingredient that adds just a touch of spice. Pimento dram, spiced rum, and spices like nutmeg can be found in a number of tiki recipes. Many ways to make one drink. For one reason or another, tiki cocktails are the most likely drink recipes to have multiple variations. Almost every drink on this list has had ingredients added, subtracted, and substituted multiple times over the years. Some barely resemble what we accept as the original recipe. Why is that? One theory is that the recipes were often kept secret for so long that bartenders began interpreting what may be in them. 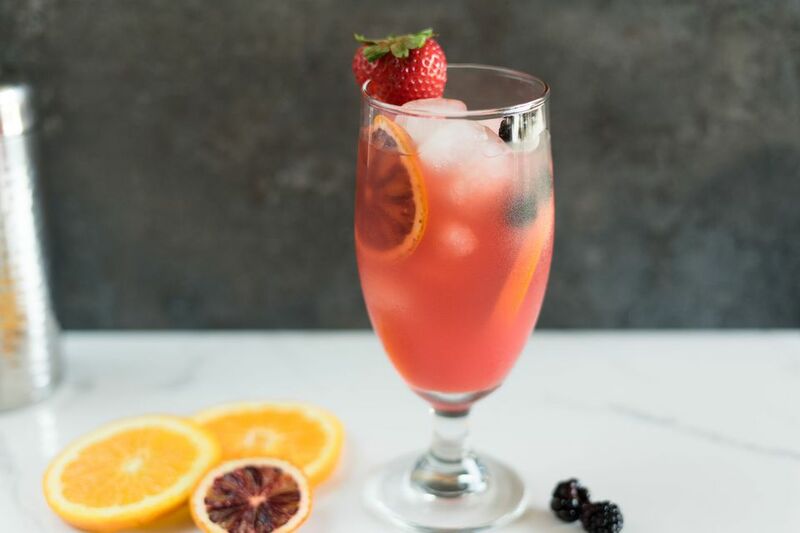 There is so much going on in these drinks that it can be difficult to pinpoint each ingredient, so they gave it their best guess. Donn Beach of the famous Donn the Beachcomber bar was Bergeron's rival in the early tiki days and the Zombie is one of his original recipes. It is also one of the most complex recipes you will find. This particular recipe is Dale DeGroff's interpretation and a personal favorite. There is also an option of floating 151-proof rum on top of the finished drink. And, if you're interested, Donn also takes credit for the famous Zombie Punch. The Zombie may also win the prize for the most recipe variations and you have to be careful because a few are simply too strong to enjoy. It may be that some people took the name too literally and created monstrosities out of what is a very tasty cocktail. The Hurricane was and still is the signature cocktail of New Orleans' Pat O'Briens bar and it was first created around 1940. You can still get the same great taste at any of the famous bar's locations in the U.S. It is one of the tastiest tiki cocktails and the fruity combination is hard to resist. The only problem you may have is finding pure passion fruit juice, but your search will be rewarded on the first sip. The two tiki giants mentioned above have both taken credit for this modernized Navy Grog cocktail. Yet, neither can claim to have invented the Navy Grog because it was the name given to the daily rum ration of British sailors in the 1700's. Rum and lime juice are the only ingredients that everyone can seem to agree on when it comes to the Navy Grog. Yet, one thing's for sure, you will need to have ​a good supply of rum to mix up any of these recipes. The Mai Tai is the ultimate tiki cocktail and it is the creation of Victor Bergeron, one of the founders of the tiki bar scene. His famous bar, Trader Vic's, is home to the original Mai Tai and it is a very fine drink. Over the years, the Mai Tai has taken on a much fruitier taste than Bergeron intended. The original recipe is actually quite dry compared to many of the modern interpretations, one of which includes pineapple and orange juices with grenadine. Creators of tropical cocktails just cannot seem to agree on ingredients and the Rum Runner is another example of a great drink with many recipes. No matter how you make it, it is a fun one. That list is only from one Rum Runner recipe. Others include the spices of falernum instead of sweet grenadine or they may skip either of the juices. In general, a Rum Runner should have rum, banana, and blackberry, but this is not always the case either. The Bahama Mama brings coffee into the mix via a liqueur (commonly Kahlua) and goes straight for the bottles of dark and over-proof rum. It also tends to be heavy on the pineapple and the entire mix comes together in true boozy tropical perfection. If you like, there is a second Bahama Mama recipe that features coconut rum and cuts the pineapple while adding orange juice. It is also a fruity delight and is fun to toss into the blender. Painkiller recipes do not vary as much as the other tiki cocktails. You're pretty safe in stocking from this ingredient list because any variations are just a matter of changing proportions. Is the nutmeg essential? Absolutely! Without it, you're looking at something similar to a Pina Colada, which is a great drink in its own right. Yet, if you're looking to go from 'tropical' to 'tiki,' then you will not want to forget that touch of spice. The Scorpion is a potent mixed drink and for the first time, brandy makes an appearance. It should not be that surprising because brandy had been mixed with tropical and citrus fruits long before the tiki scene was even a dream. As is the case with many tiki cocktails, drinkers who mix up a round of Scorpions often go too far with the booze. This kind of thinking often leads to absurd drunkenness, nasty hangovers, and other sorts of craziness. With three spirits, this is already a strong drink, so don't burn it by overpouring. Instead, appreciate it for the delicious tropical drink that it is and enjoy the fact that you can remember it the next day. The Blue Hawaiian is a bit more mellow than other tiki cocktails and it is a beautiful shade of blue. This is the ultimate poolside cocktail and you will find that it is very easy to shake up. You may notice that it looks a lot like a Pina Colada and you would be right. Adding the blue curacao gives the Blue Hawaiian its signature color and, just like the colada, you can blend this beauty up as well. The Beachcomber is the lightest of these tiki cocktails and it is the only drink not served in a tall glass. It is much more a rum sour than the typical tiki drink, yet it's fun and super easy and you'll love it all the same. 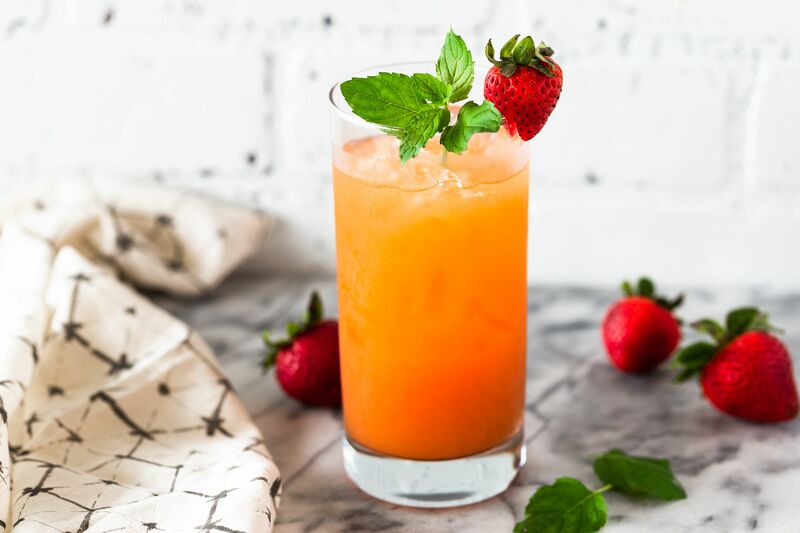 By the name, you might think that Donn the Beachcomber created this one, but the recipe is actually attributed to Trader Vic's. It's an odd twist and one that might not be entirely true, but we do love to debate our bar trivia! How Did the Tiki Bar Begin? Ernest Raymond Beaumont Grant (aka Donn Beach) opened the first tiki bar in the 1930's on Hollywood Boulevard in Los Angeles. The bar was the now famous Don the Beachcomber and was decorated with items from the South Pacific. Beach developed a cocktail menu that celebrated the many styles of rum he had tasted over the years in elaborate, very secret recipes. Around that same time, Victor Bergeron transformed his Oakland, California saloon Hinky Dinks into Trader Vic's after touring the South Seas. At his new tropical-themed bar, Bergeron created rum drinks in the same fashion and with the same prestige as Beach and the two became rivals as well as the pioneers of the tiki culture. Both bars expanded into chains and continue to operate today. Post World War II, the interest in South Pacific culture blossomed and the tiki boom took off. Soon, tiki bars popped up all over the country, each attempting to outshine one another with lavish tiki decor, mammoth bowls of cocktails, and, of course, tiny umbrellas and lots of rum in every drink. The tiki craze has slowed a bit in recent decades, though there are still plenty of tiki bars and many more tiki-themed parties to be found.